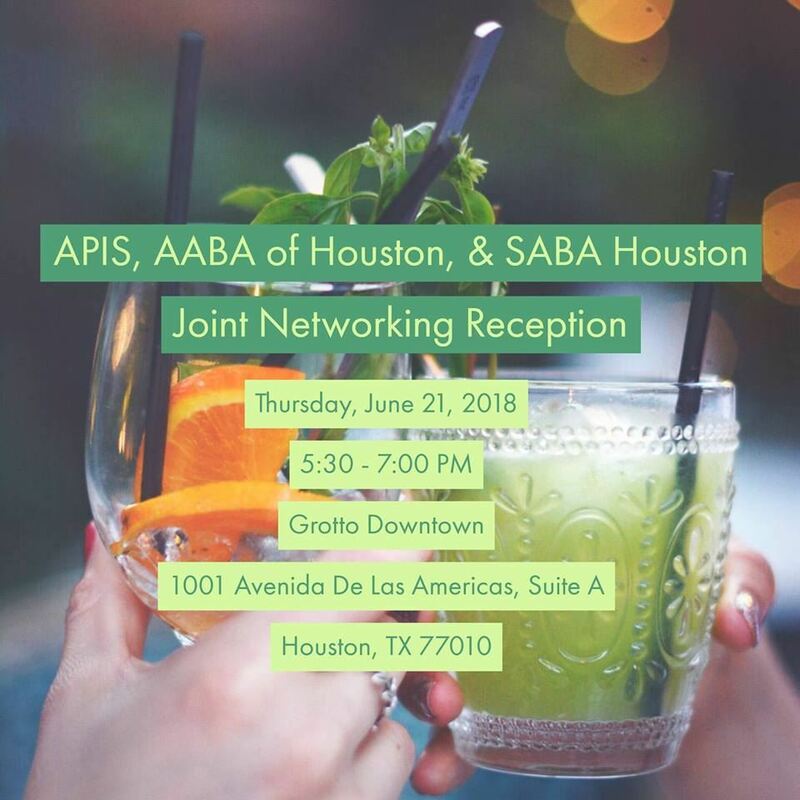 The Asian Pacific Interest Section (APIS) of the State Bar of Texas, the Asian American Bar Association (AABA) of Houston, and the South Asian Bar Association (SABA) of Houston will be co-hosting a networking reception at the Grotto in Downtown Houston. Please join us for an opportunity to network with other Texas attorneys. Complimentary drinks and appetizers will be provided.